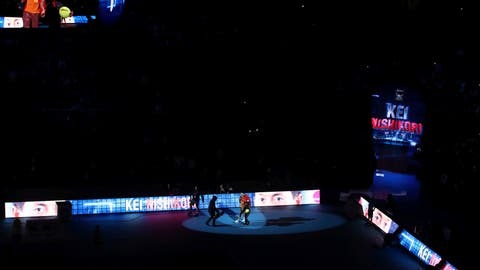 LONDON (AP) — The Davis Cup and the Laver Cup are getting a new team-competition companion. The men’s tennis tour said Thursday the debut of the ATP Cup will take place in January 2020, just a week before the start of the Australian Open. The ATP Cup will be played over 10 days in three yet-to-be-confirmed Australian cities. Tennis Australia is also a partner of the Laver Cup, another annual team competition, which began in 2017 and pits European players against a “World” team in September. “We’ll make sure that in 2020 we run a great event and we’ll do whatever we can in partnership with the tour and others to ensure that Davis Cup is also a magnificent global event,” Tennis Australia CEO Craig Tiley said. Roger Federer, the 20-time Grand Slam champion who co-founded the Laver Cup, said that he would like to “wait and see,” how the new tournaments go. Unlike the Davis Cup, the ATP Cup will offer ranking points, which will be based on individual results. A player who wins all his matches — and the tournament — could claim 750 points. The launch took place at the O2 Arena in London, where the men’s tennis tour’s flagship event, the ATP Finals, is currently taking place. The ATP formerly held a World Team Cup in Dusseldorf, Germany, which ran for 35 years but was discontinued in 2012.